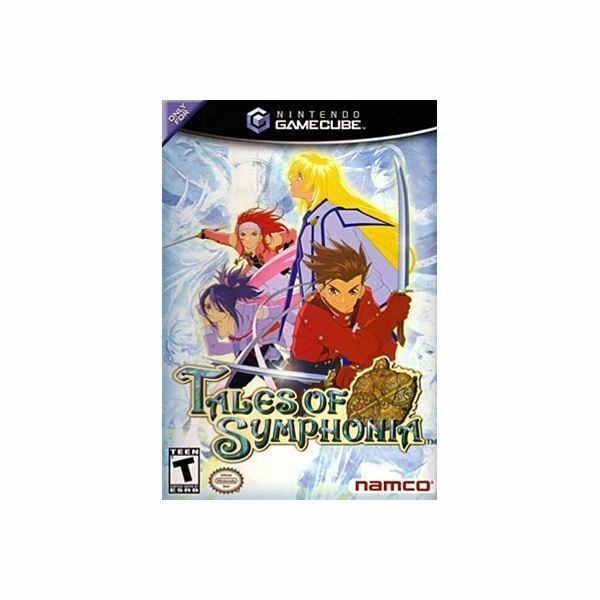 Tales of Symphonia was released in the US for the GameCube in 2004. Although it stems from a long series of Tales games, it is only the second to be released in the US since all of the other Tales games were Japan exclusive. Lucky for us, because the folks at Namco Tales really know what they are doing when they make a game. The story starts off in typical fantasy world mode. The main character (Lloyd) and his genius friend (Genis, I know!) are best friends with Colette, a girl who is known as The Chosen. She is supposed to go on a journey to revive the dying world of Sylvarant. 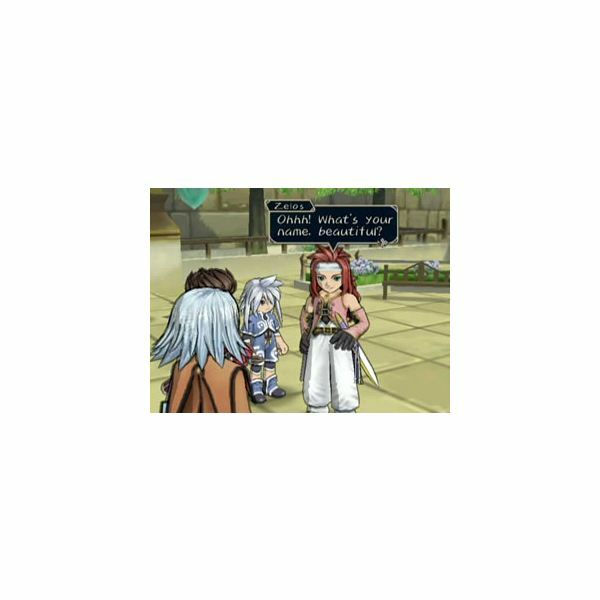 They set out on their quest (joined by Genis older sister Raine and a mercenary named Kratos). But, like all Tales games, nothing is really as it seems. The story is filled with enough twists and turns to keep anyone guessing. Also, the characters are actually deep. Every one of them has a story that defines who they are and how they act. As the game unfolds you learn more about each character. It really adds to the story as you see how human (or not) they really are. Keep in mind this is a GameCube game. The graphics aren’t perfect. The backgrounds are beautiful, but the characters can look a little out of focus when they are close to the camera. However, from a distance and in battle they look fine. The cut scenes can be a little rough though. One of the coolest parts of Tales of Symphoina is its battle system. Not only are the battles in real time (although you enter them like you would a turn based battle), there are also no random battles. You see the enemies wandering around in the dungeon or world map and you get to choose whom you want to fight. But the best thing about the battle system by far is the fact that it is multiplayer. While only one person can control the character on the world map and in the dungeons and towns, up to four people can control the characters in battle. Some of my fondest memories are of fighting my way through a dungeon with a group of friends. Not only is the battle system unique in its multiplayer abilities, but the level to which you can customize character’s fighting style is as well. The types of attacks you use will determine what kind of fighter your character is (mêlée or magic) and therefore, what kind of special attacks (called Techs) they can acquire. 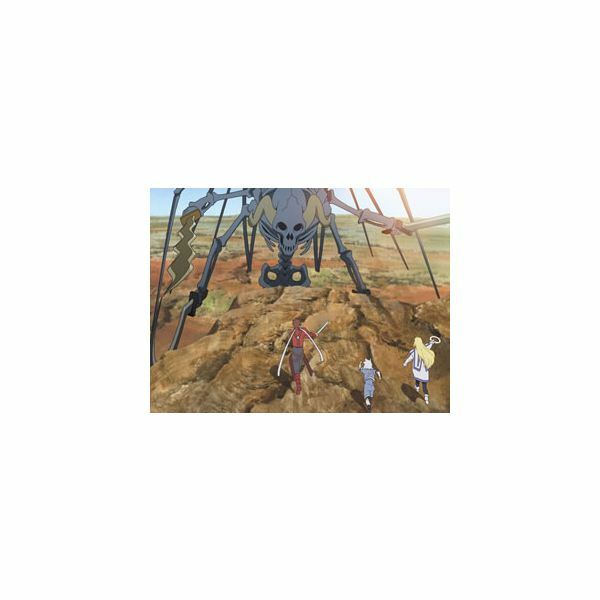 Tales of Symphonia is not without its problems. The story line is incredibly linear (as are most Japanese RPGs). However, with the number of side quests available it almost becomes a non-issue. Also, the point of playing a game like Tales of Symphonia is for the story so once again its linear nature is a moot point. If you haven’t immersed yourself in this world yet I suggest you do, especially if you want to play Dawn of a New World. You won’t regret it.